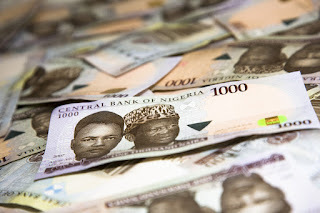 As the Central Bank of Nigeria lifted the peg on the naira, the local currency depreciated to N288.85 to the dollar on the Nigeria Interbank Foreign Exchange (NIFEX) market on Monday, with the central bank conducting Special Secondary Market Intervention Sales (SMIS) to clear the backlog of $4.02 billion pent-up demand for FX. According to the CBN, it sold $532 million on the spot market and $3.487 billion in the forwards market. A breakdown of the $3.487 billion forward sales by the central bank showed that $697 billion was for one month (1M), $1.22 billion for two months (2M) and $1.57 billion for three months (3M).